The vice principal charged with the care of hundreds of high school children on the disastrous, South Korean ferry trip has committed suicide. Rescuers continue to search for survivors as hope dwindles for the 268 passengers who remain unaccounted for. Senior teacher, Kang Min-gyu of Danwon High School, was found hanging from a tree on the island of Jindo where the aggrieved parents of the children lost in the ferry accident are staying. 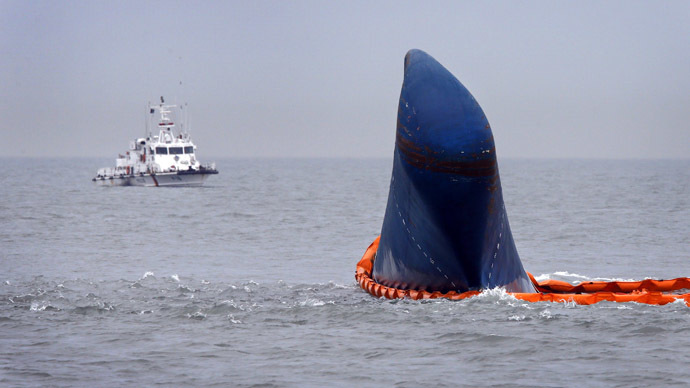 Kang was rescued from the ferry before it sank and is believed to have taken his own life out of guilt. 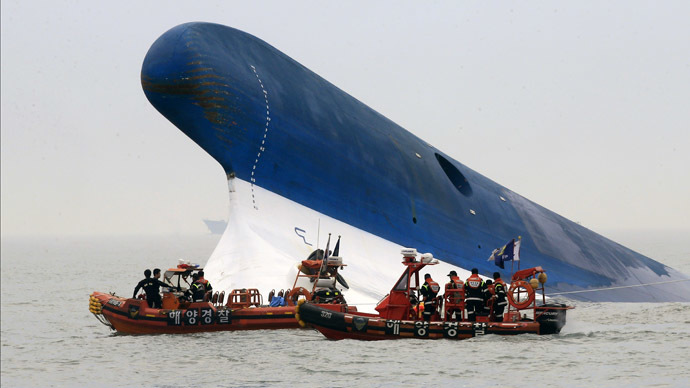 The ferry capsized while on its way from Incheon, in the north-west, to the southern resort island of Jeju. 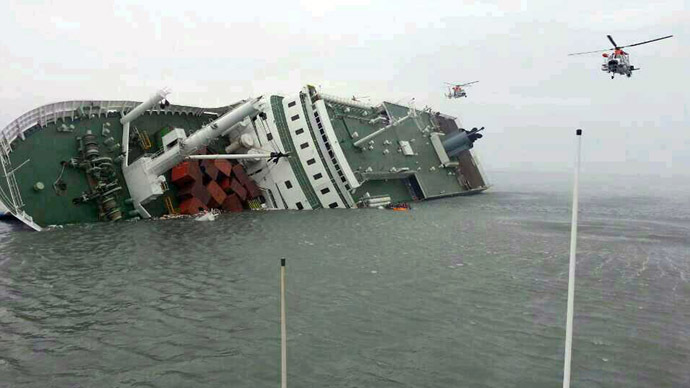 It was carrying over 300 people, 28 of whom have been confirmed dead by the South Korean authorities. Rescuers are continuing the search for 268 people who remain unaccounted for, but progress is being hampered by poor weather conditions. Over 500 divers have been deployed to search for passengers with the slim hope they could have survived in air pockets under the water. Amateur footage of the moment when the ship started to capsize has been posted over the internet. It shows how the passengers were told to stay put on the ship, even when it started to tilt. Some critics have argued that if an order to evacuate had been issued, more people could have been saved. The cause of the accident still remains unknown, although investigators suspect that the vessel could have struck a rock or made a sharp turn, causing it to overturn. The role of the captain and his crew has also been brought into question in the ongoing investigation. On Friday, prosecutors issued an arrest warrant for the captain and two members of crew amid suspicions of possible negligence. It was found that the captain of the ship was not at the helm at the time of the incident and had left the responsibility to the third officer. Captain Lee Joon-seok appeared on South Korean television on Thursday to deliver a message to the families devastated by the disaster. "I am really sorry and deeply ashamed. I don't know what to say," he said. The captain has been the target of public anger following the incident, and criticism has also been leveled at the South Korean government for its treatment of the event. A spokesperson for the aggrieved families spoke out against the authorities in a television broadcast on Friday morning, alleging the government had lied to them. He alleged that the South Korean government has lied about the size of the rescue effort, claiming that it is in fact much smaller.